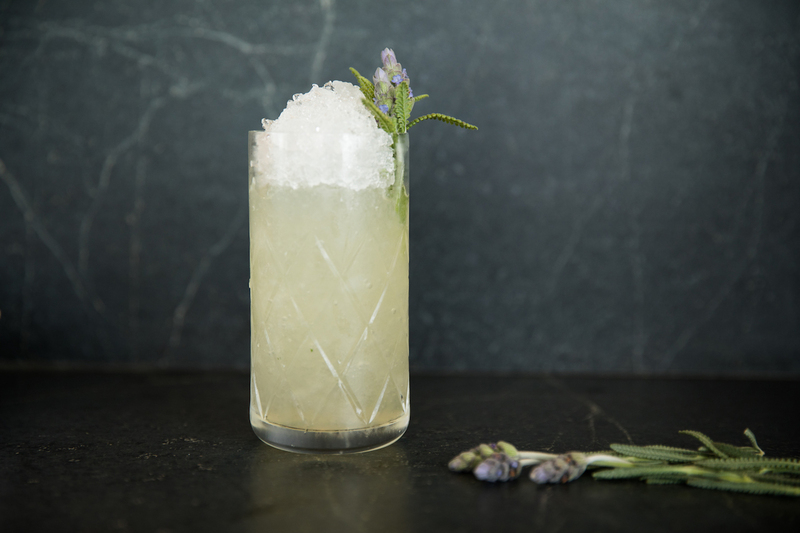 With its subtle floral notes and distinctive purple hue, lavender is sprouting up in seasonal drinks across the country like wildflowers in a field. 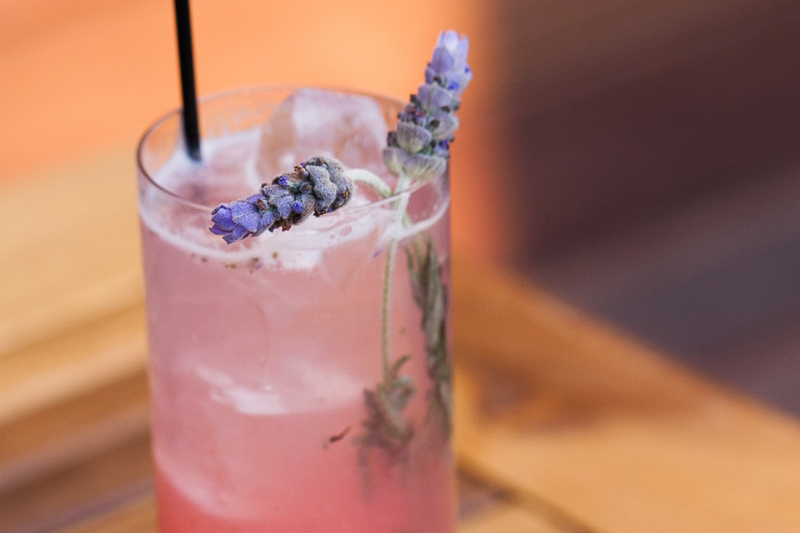 Here are eleven places to enjoy lavender cocktails. 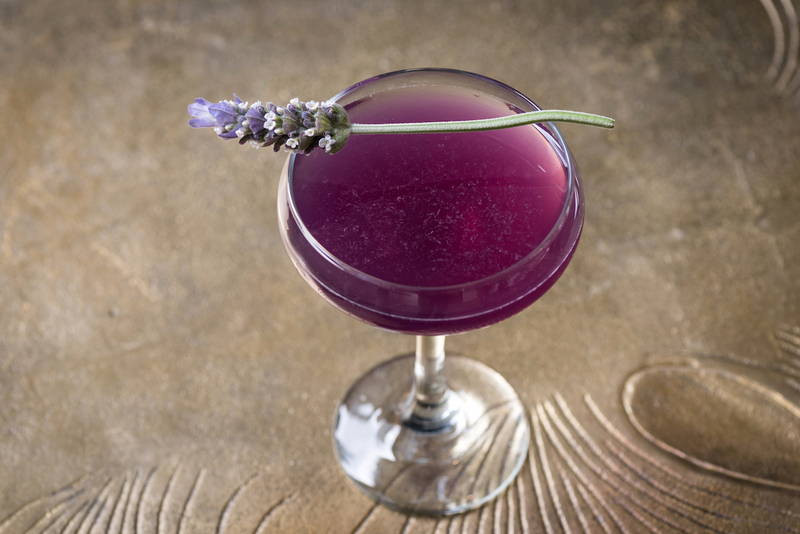 Nodding to its bold purple color and paying homage to a pop icon, The Prince mixes Rhine Hall mango brandy, Clement Creole liqueur, lime cordial, orange bitters, lavender bitters and butterfly tea extract in a coupe glass with a fresh lavender garnish. Make a reservation at Upstairs at The Gwen. 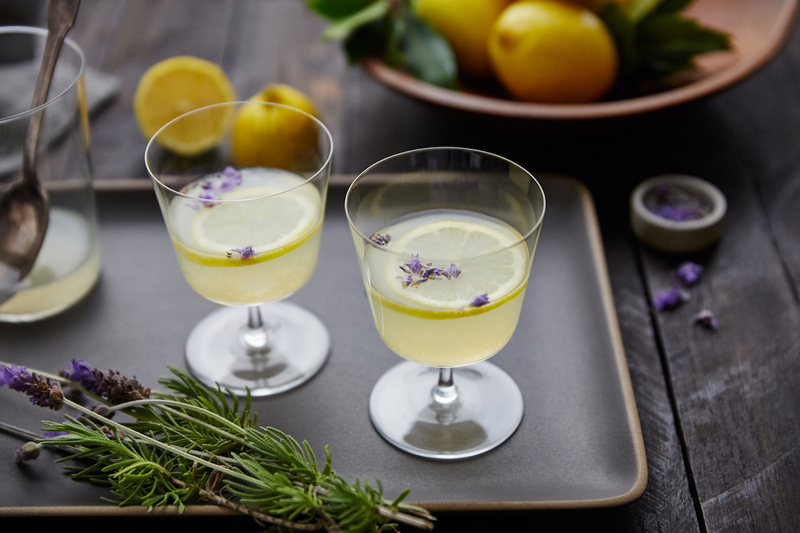 Featuring ingredients from the culinary garden at Carneros Resort and Spa, Lavender & Lemon combines Uncle Val’s Botanical Gin, lemon juice, and housemade lavender simple syrup. Make a reservation at FARM at Carneros. Mixologist Johnny Swet created the Salty Dog, a new addition to the spring menu, with Hendricks Gin, St. Germain, lavender bitters, and grapefruit. Make a reservation at JIMMY at The James. 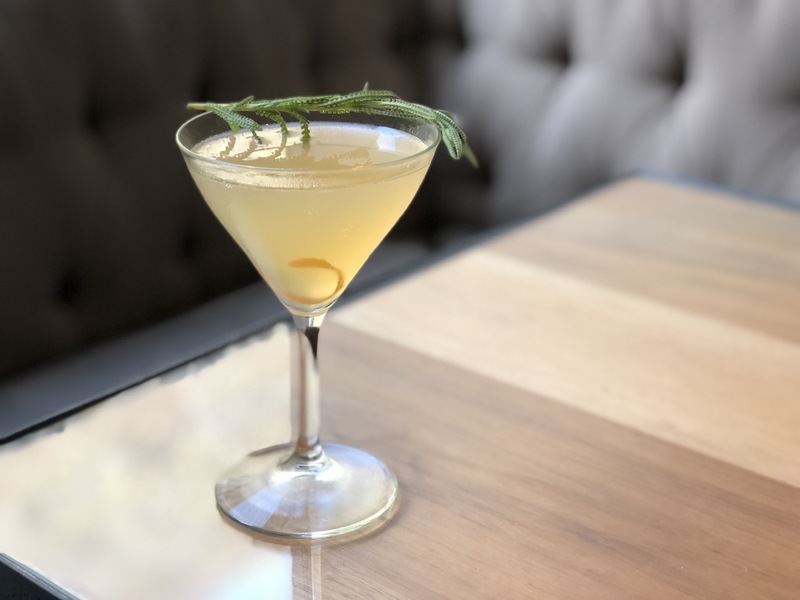 Bluestem Brasserie’s spring cocktail menu includes the Iron Horse, made with gin, Lillet Blonde, Amaro Nonino, and lavender syrup. Make a reservation at Bluestem Brasserie. 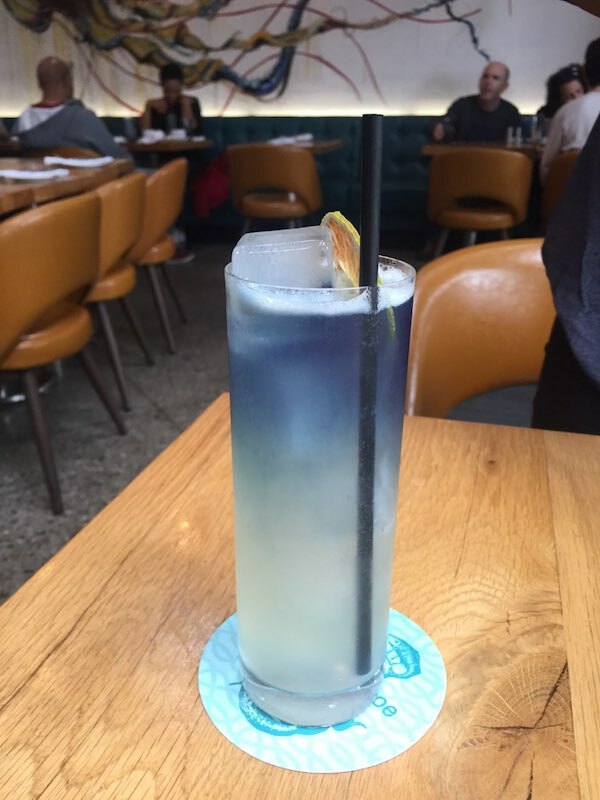 Bar manager Greg Goins concocted the this vividly colored drink with a vodka base, lavender limeade, lavender bitters, crème de violet, and fresh lavender from nearby Farm Lot 59. Make a reservation at Roe Seafood. La Guapa uses No. 3 gin infused with lavender, rhubarb, lemon, and sparkling rose and it’s finished with a sprig of lavender. Tanta’s menu also features Peruvian specialties, such as cebiches, empanada and corn cake with mushroom, and sautéed choclo. Make a reservation at Tanta. 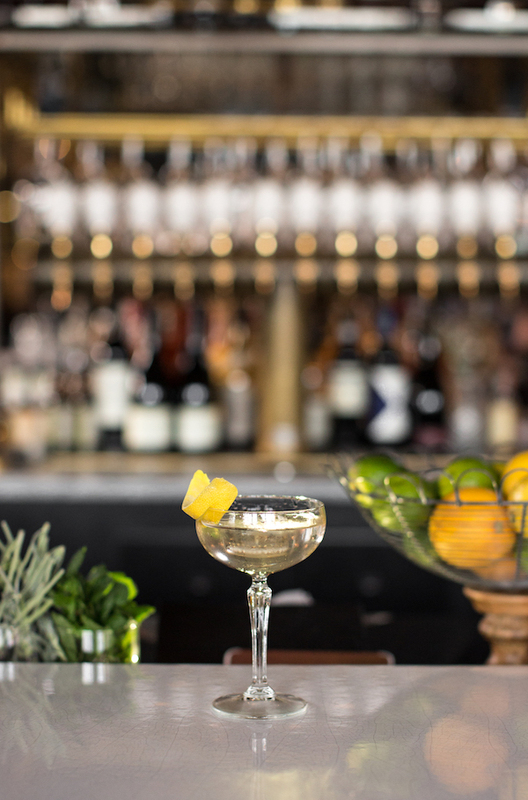 Inspired by the classic British novel by Frances Hodgson Burnett, The Secret Garden elegantly blends lemon balm and lavender-infused Bombay Sapphire gin, Lillet Blanc, elderflower, celery bitters, and Prosecco. The Printing Press also serves other literary libations including Green Grow the Rashes and The Old Man and the Sea. Make a reservation at The Printing Press Bar & Kitchen. 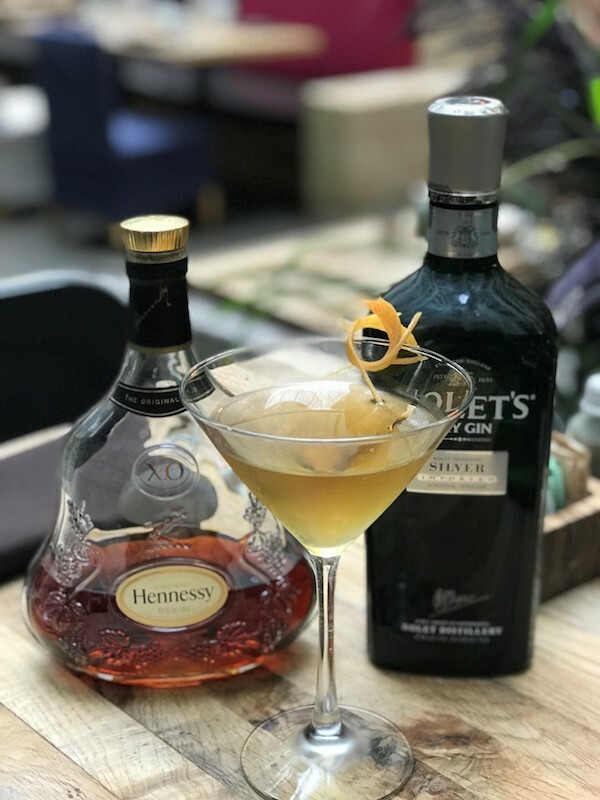 Urban Farmer offers this off-the-menu cocktail made with Nolet’s silver gin, Hennessy XO, Lillet Blanc, orange bitters, and lavender tincture. Make a reservation at Urban Farmer. 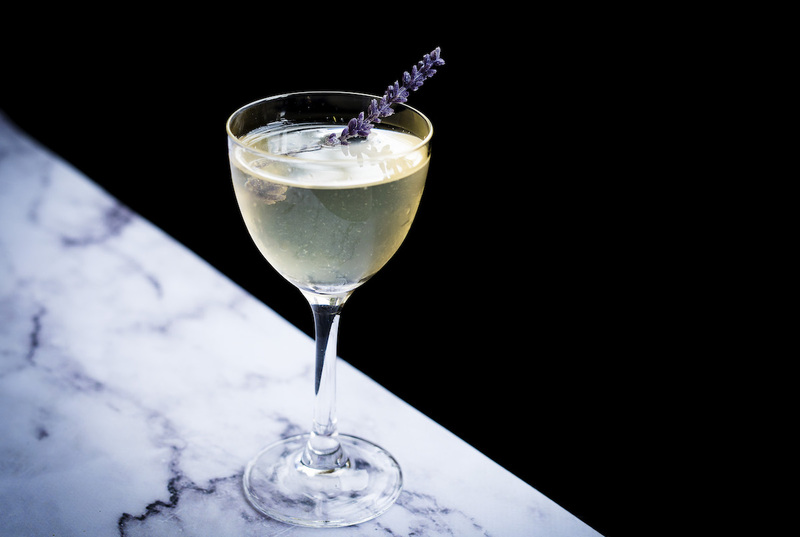 Herb & Wood’s craft cocktail menu, newly revamped by cocktail curator Meghan Balser, includes this drink made with You and Yours Vodka, Gin Mare, lavender-infused Aperitivo Bianco, and a touch of Japanese whisky. Make a reservation at Herb & Wood. 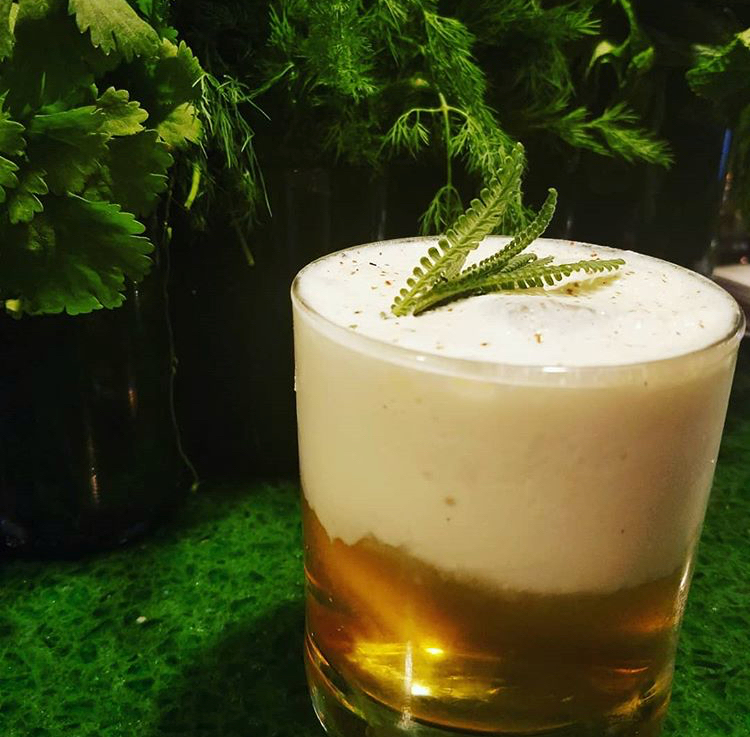 Led by executive farmer Nathan Peitso and beverage manager Andrew Harbour, Farmhouse recently opened with a menu of specialty cocktails. This one includes vodka, aloe, lavender, and lemon. Make a reservation at Farmhouse. Pennyroyal, the bar portion of Shaker + Spear, features a Spanish-style Gin + Tonic menu that pairs gin with housemade tonics. 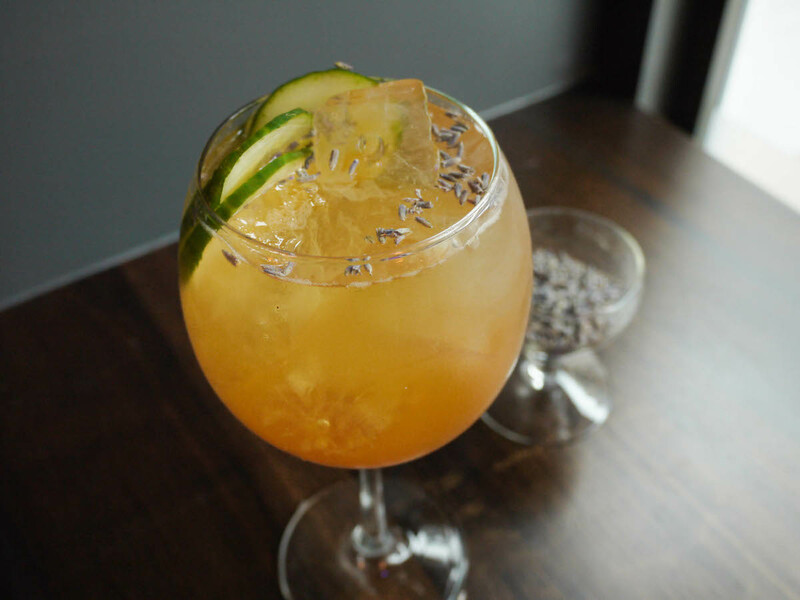 Displayed in a larger bowl glass to showcase cocktail’s aromas and colors, this cocktail is made with Batch 206 gin, tonic syrup, club soda, cucumber, and lavender. Make a reservation at Shaker + Spear. Didn’t Cha Know at Firefly, Washington, D.C.
Lead bartender Brendan Ambrose combines lavender-infused Dolin Blanc, marsala-infused Plantation Rum, chai syrup, and cinnamon whipped cream in this aromatic cocktail. Make a reservation at Firefly. 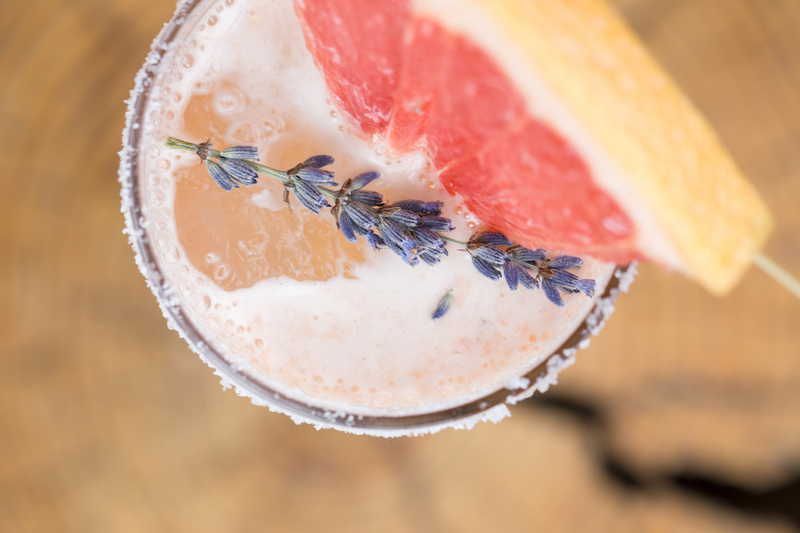 Have you been ordering lavender cocktails? Let us know where here in the comments or over on Facebook, G+, Instagram, Pinterest, or Twitter. And, remember to snap + share your #dishpics with us on Instagram for a chance to win in our weekly giveaway.